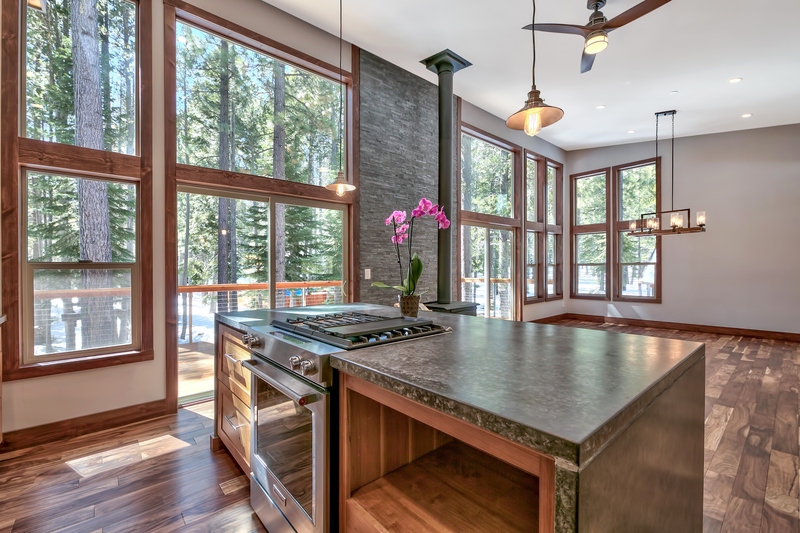 New Completely Remodeled Modern Mountain Build Located In Beautiful North Upper Truckee. Minutes From Hiking. New Completely Remodeled Mountain Build Located In Beautiful North Upper Truckee. Minutes From Hiking. This Four Bedroom Home Is Adorned With Custom Features. Concrete Counters. Cherry Wood Kitchen Cabinetry. Waterfall Custom Concrete Kitchen Island. Exposed Douglas Fir Wooden Beam. Acacia Engineered Wood Floors Upstairs. Douglas Fir Wooden Floors Downstairs. Master Bath Comes With Large Soaker Tub. Home Is Equipped With Hydronic Floor Heating. Mountain Contemporary Fixtures Throughout. Massive Back Redwood Deck. This Home Has New Framing, Insulation, New Gable Style Roof, Windows, And Siding. The Perfect Home For Entertaining. Ski Heavenly, Kirkwood, or Sierra Tahoe And Walk Down The Road To Amazing Backcountry Cross-Country Skiing, Mountain Biking, And Hiking Trails. Live Comfortably In This Spacious Home And Experience The Rustic Mountain Feel. Conservancy Lot Behind.